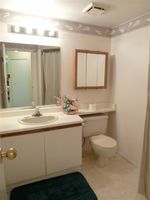 High Pointe Court, LOWER end unit that is a 2 bedroom, rancher like as in NO STAIRS. Age restricted (45+) to all occupants, gated community central to all amenities, yet very quiet (in centre complex). Very clean and well maintained, but original. 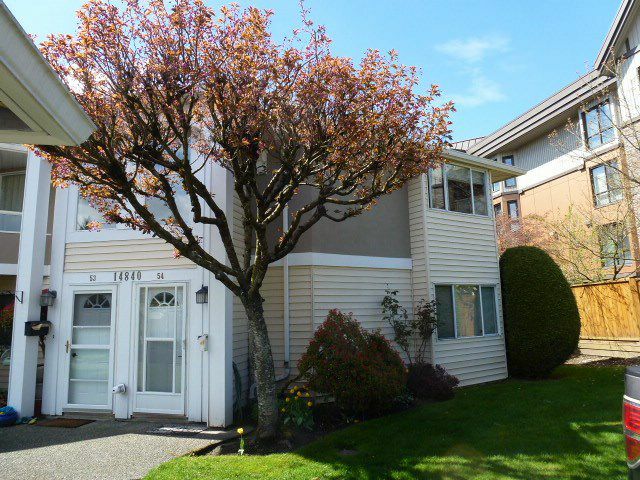 Generous sized kitchen with adjoining eating area, spacious living room/dining room that leads to a patio. Walk to Guildford Mall, grocery shopping and lots of restaurants. Available immediately.